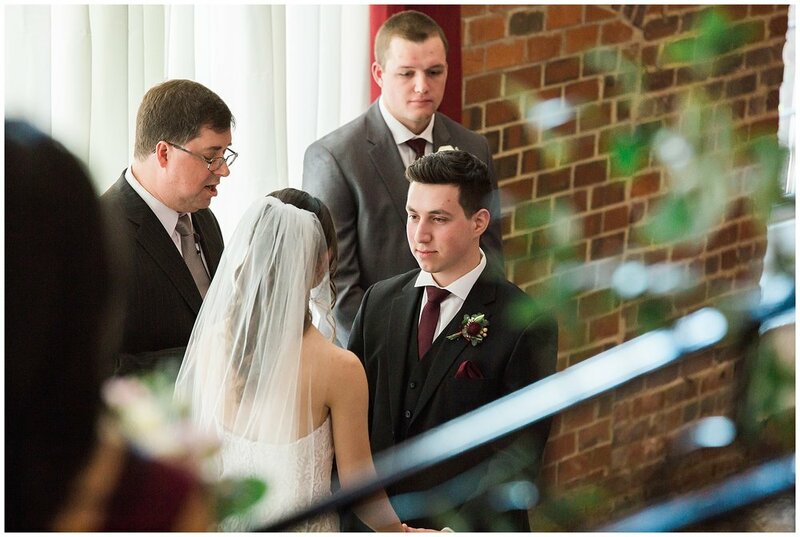 We believe every wedding is special in its own right. Some make you laugh. Some make you cry. Some make you smile. Some make you reminisce. 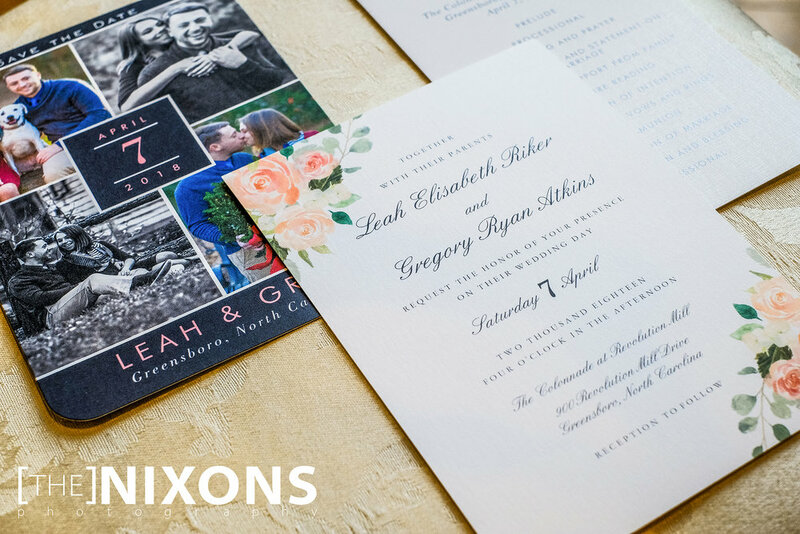 In this new blog series, we’ll be highlighting some of our most recent weddings. 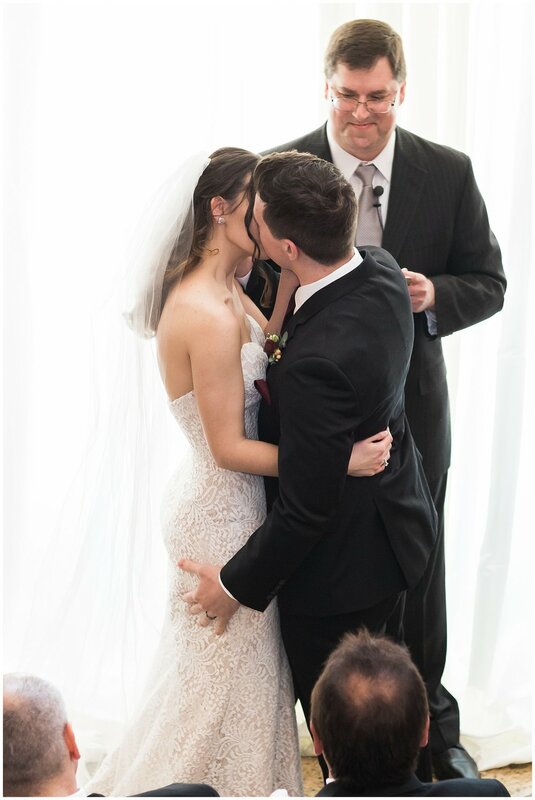 In each post, we hope to capture a little bit of what makes each ceremony so unique. 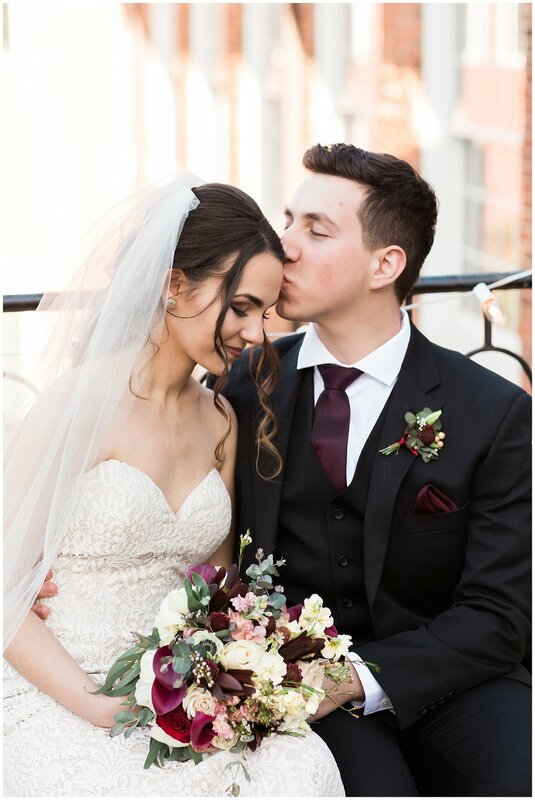 We’ll be sharing special moments and photos from each wedding, as well as highlighting the vendors each couple used. 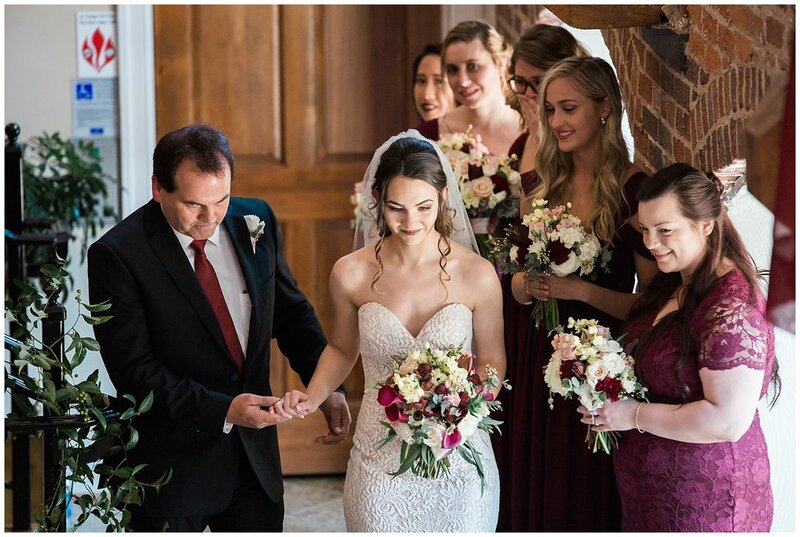 Our first profile focuses on Leah Riker and Greg Atkins, who tied the knot at The Colonnade in Greensboro on April 7, 2018. A good venue sets the atmosphere. A good caterer makes mealtime a memory worth savoring. And, a good photographer ensures no moment goes uncaptured. Leah and Greg chose to go with a simple color scheme of Leah’s favorite color: pink! 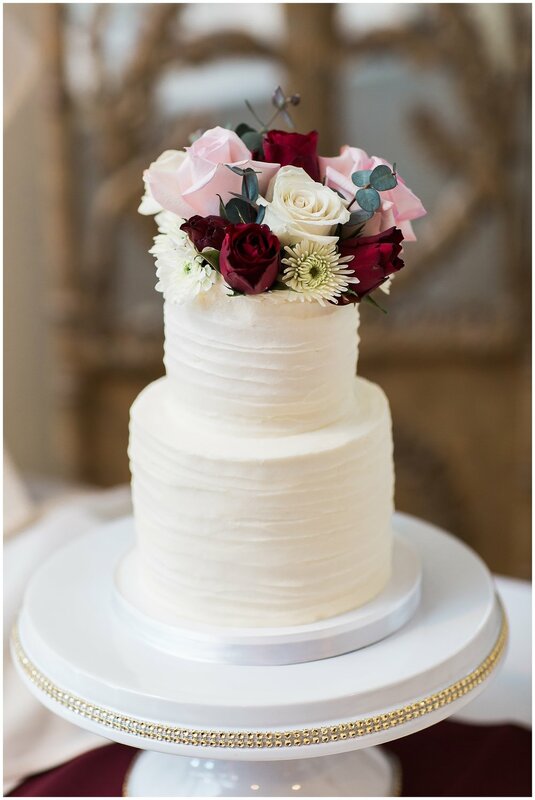 Simple and elegant, this monochromatic color scheme focused around coral with coordinating shades of pink. Pink was woven throughout the décor, with little touches here and there in the floral arrangements and bridesmaid’s dresses. The groomsmen coordinated in light grey suits with pink boutonnières. For Leah and Greg, their standout moment came during their reception. With the sound of Butterfly Kisses filling the room for the father/daughter dance, Leah graced the dance floor in her father’s arms. Halfway through their father daughter song, they were joined by all the other fathers and daughters on the guest list. “It really was a very sweet moment,”Leah recalled. The culinary highlight of the day was Pepper Moon’s show-stopping mashed potato bar! Guests were able to fill their own martini glass with our signature smashed potatoes and then customize with a wide variety of toppings. A few of the favorites? Chopped bacon, diced ham, smoked salmon, shredded smoked gouda, shredded cheddar, salsa, sour cream, sautéed mushrooms, scallions and whole green olives. For some, the standout feature of The Colonnade is the elegantly exposed brickwork. For others, it’s the towering ceilings. 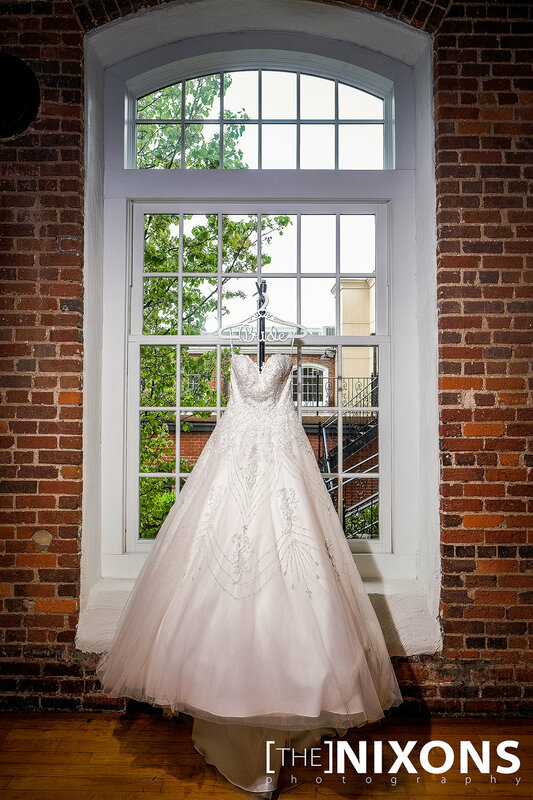 For Leah and Greg, it was its beautiful wrought iron railings and the natural light from our tall windows. 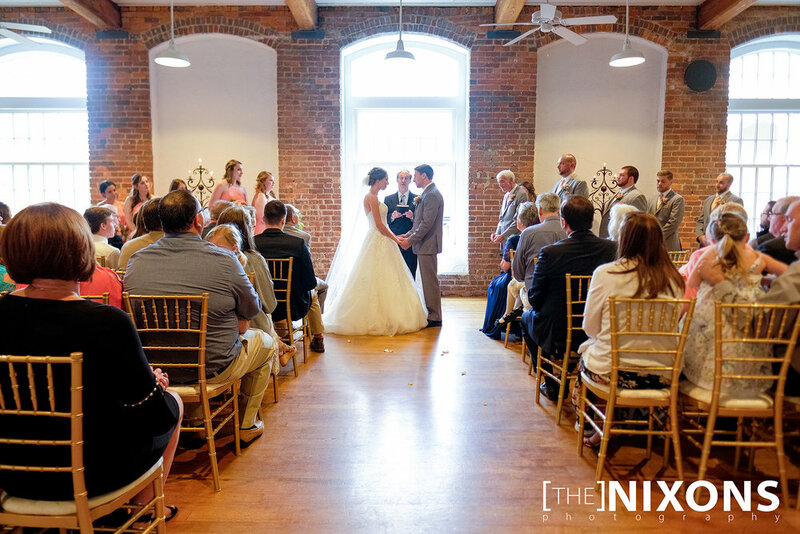 Ready to get started planning your own Greensboro wedding? 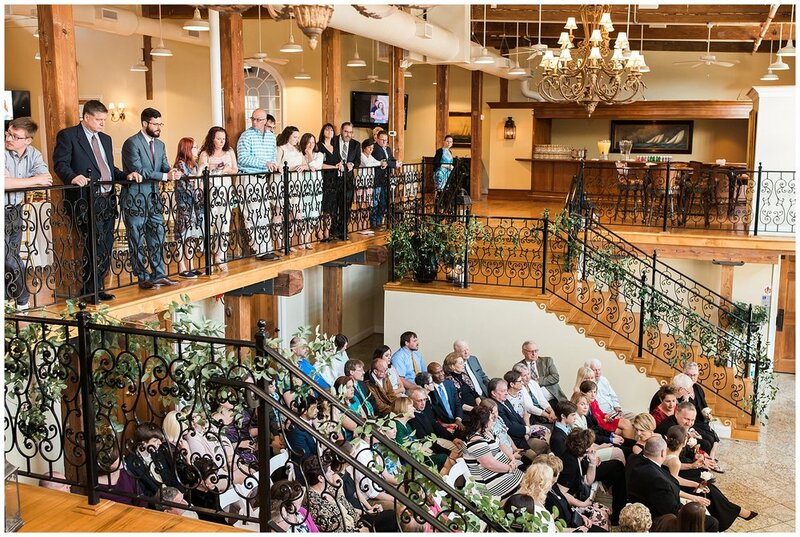 If you’re looking to get a jumpstart on the planning process (or pulling together a last minute ceremony), take a look at our wedding guide or contact us to see how we can help.